Will A Pop-up On My Website Impact Google Rankings? Google’s latest push towards an optimum mobile search experience actively penalises mobile sites with intrusive or obstructive pop-ups. Announced in August last year and live as of January 10th 2017, the move has prompted understandable concern from companies whose business relies on an attractive - and highly visible - web presence. Mobile visibility is more important than ever - in 2016, we finally saw the long-predicted shift from majority desktop web usage to majority mobile. More people than ever are using their phones and tablets to engage and spend online. For hoteliers, a seamless mobile experience is increasingly important as a means of ensuring those all-important direct bookings. The draw of even the best prices and perks can be undone by a frustrating or convoluted mobile site. And now, those frustrating sites face more than a disgruntled customer as retribution for poor user experience. The update to Google’s algorithm means that mobile sites featuring overly obstructive pop-ups - technically, ‘interstitial advertisements’ - now feature lower down in search results than those without. 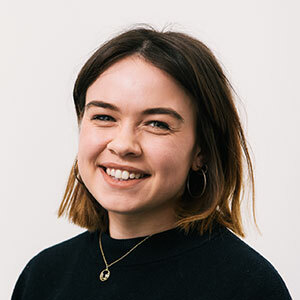 This crackdown on pop-ups, whilst nerve-wracking to some businesses facing the prospect of losing the revenue generated by their interstitials, can be seen as a positive part of the general movement towards websites that are more than just ‘mobile-friendly’. The best websites are capitalising on the latest advances in technology and data analysis to provide a tailored and cohesive customer experience. For a customer visiting a hotel, the experience no longer starts when they walk through the door of the lobby. The physical stay is part of bigger picture, from the moment they start their search to the reviews and recommendations they post online afterwards. The mobile site is no longer just a compromise - it’s an integral part of the hotel experience. Where does a pop-up have to appear for Google to penalise a site for it? 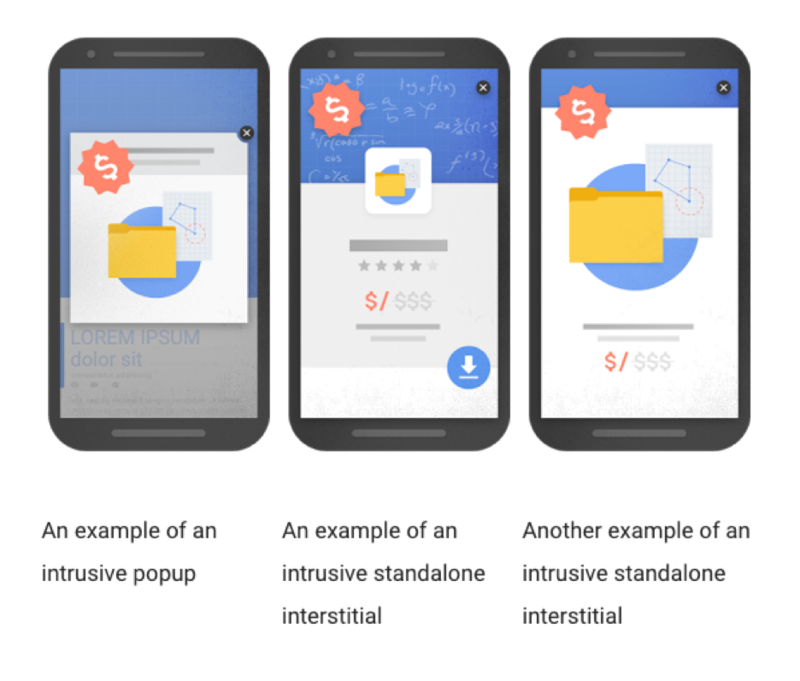 Only interstitial ads on mobile sites will affect Google ranking. While we wouldn’t recommend cramming your desktop site full of pop-ups, you’re free to do so without being affected by these changes. What are the criteria for ‘good’ and ‘bad’ pop-ups? Cookie agreements and age restriction warnings are still fine - the algorithm won’t punish you for those. If you still need some form of pop-up on your landing page - for instance, a prompt for the user to download your app - Search Engine Journal recommends ads that take up a maximum 15% of screen space, such as a streamlined banner at the top of the page. Ultimately, there shouldn’t be any kind of barrier between the user and the content they’re trying to read. When does the interstitial need to appear for it to affect a site’s ranking? Basically, anything that interferes with a user’s experience of clicking through from a search engine to your content is a no-go. Google’s latest announcement is leading companies to think much more carefully about their mobile strategy. The trend could (and perhaps should) encourage the hotel industry to consider a customer’s online experience - whether desktop or mobile - as an integral part of the hotel experience proper. Triptease believes Direct is Best. Our Direct Booking Platform helps to enhance your website, increase parity with OTAs and drive direct bookings - with not an irritating interstitial in sight. For more information, take a look around www.triptease.com.